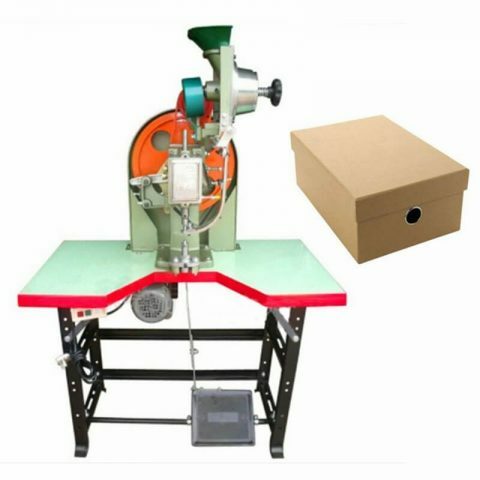 Shoe Box Automatic Eyelet Attaching Machine is fully-auto eyelet attaching machine which used to fix eyelet on cardboard shoe boxes automatically. 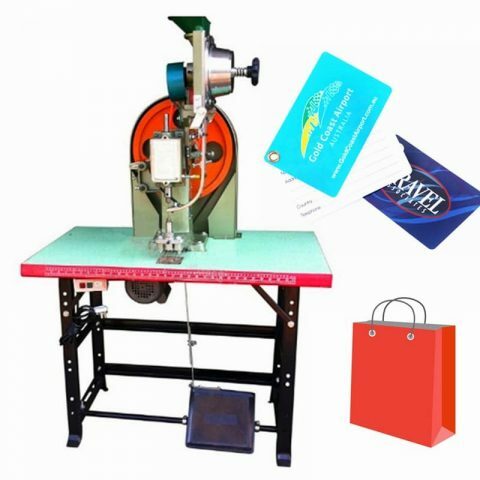 This model of eyeleting equipment is widely used for all kinds of cardboards products, including shoe box, wine box, shoe containers, etc. It will automatically setting metal eyelet and grommet in highest production. 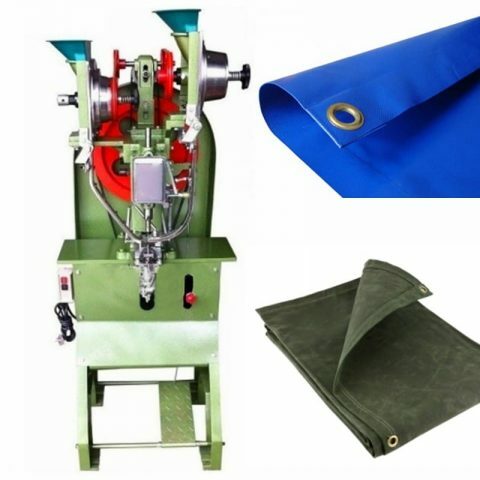 Tarpaulin Self-piercing Fully Automatic Eyelet Machine is fully-auto eyelet machine, which used to fix heavy duty tarp grommets and eyelet with washers on tarpaulin automatically. Do not need piercing on tarps advance. 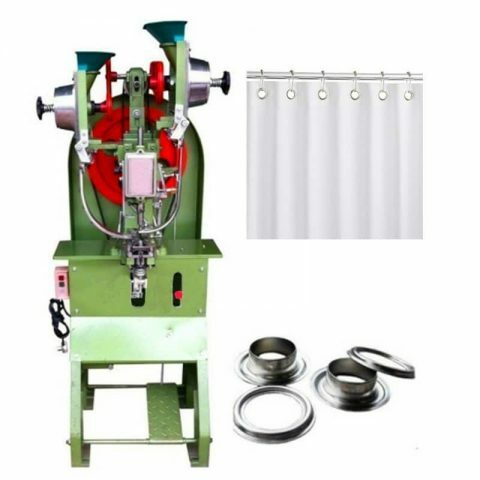 Shower Curtain Automatic Grommet Machine is fully-auto grommet machine which used to fix grommet and washer on shower curtain automatically. The maximum capacity could reach 3600 pcs/hour. 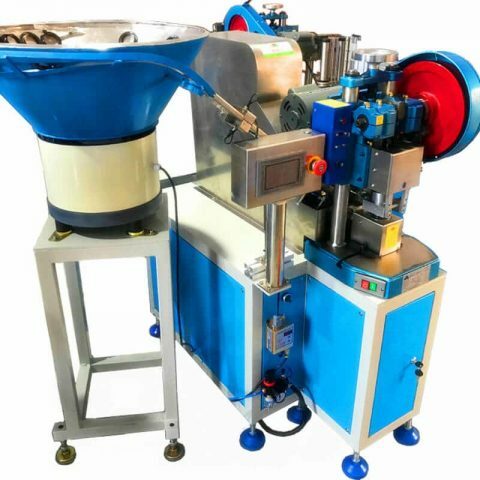 Fully Automatic Curtain Eyelet Setting Machine is fully-auto curtain eyelet attaching machine which used to fix curtain eyelet and grommet automatically. Automatic Eyeleting Machine For Tags Label is automatic feeding eyeleting tool for eyelet press on tags and label. Tags eyelet will be automatically fed by vibrating bowl feeder.